Good things come in threes! 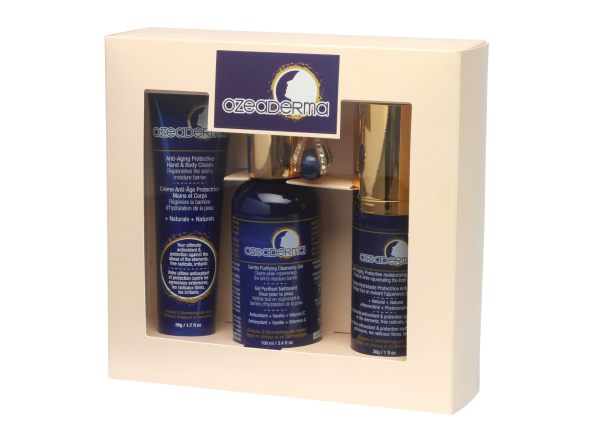 Our Complete Active Wind Care Set comes with everything you need to replenish the skin’s moisture barrier while helping to prevent damage. In addition to drying out the skin, the wind, heat and other elements carry with them dust, dirt and pollutants that generate free radicals and can damage your skin. OZEADERMA Active Wind Care products actively heal from the inside, and shield from the outside.